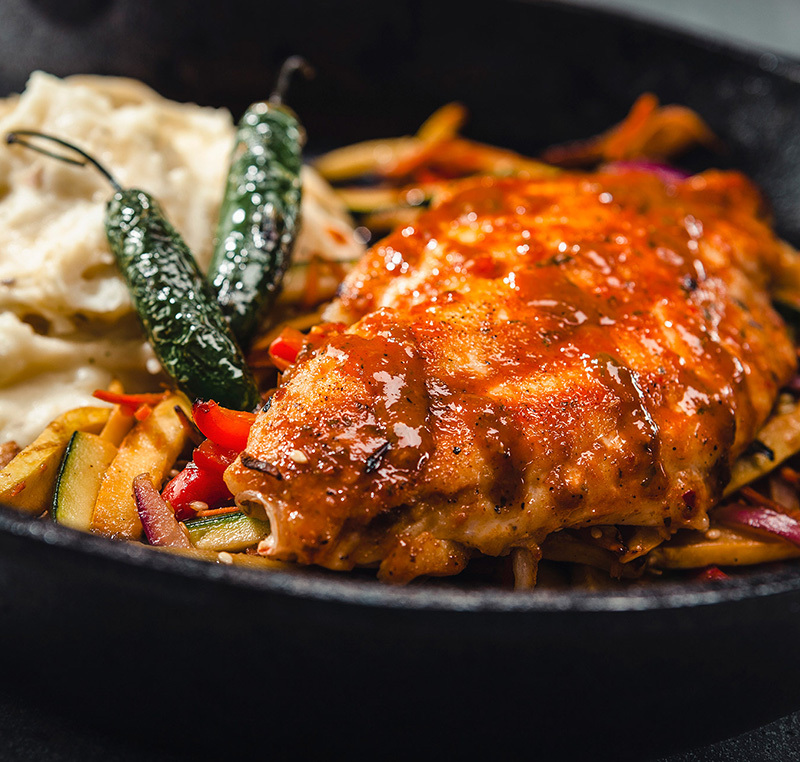 Pan-seared red snapper topped with salsa roja on a bed of roasted summer vegetables with hot sauce and garlic mashed potatoes. Heat 1 tablespoon of oil in cast iron skillet and add cut seasoned vegetables. Place them in a 350˚F oven. Preheat 1 tablespoon of oil in a saute pan until hot, add fish filet, brushed with hot sauce, belly side down and seared for 2 minutes. Flip and sear for another two minutes and remove from heat. Brush filet with salsa roja and place on top of roasted vegetables. Place back in oven. When fish is 145˚F internal temperature remove skillet from oven and place serving of hot garlic mashed potatoes on the side and serve!